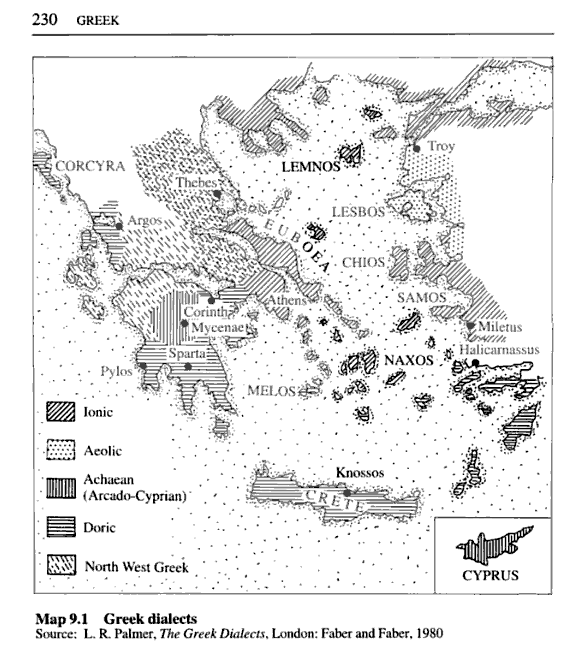 Taken from the book “The Indo-European Languages” edited by Anna Giacalone Ramat and Paul Ramat, 1998, page 230. Please see the connection with Greek language influence in Macedonia, 1900! posted 20081024. You will notice that the Greek language influence in Macedonia has been about the same for ~2300 years, strange is it not?